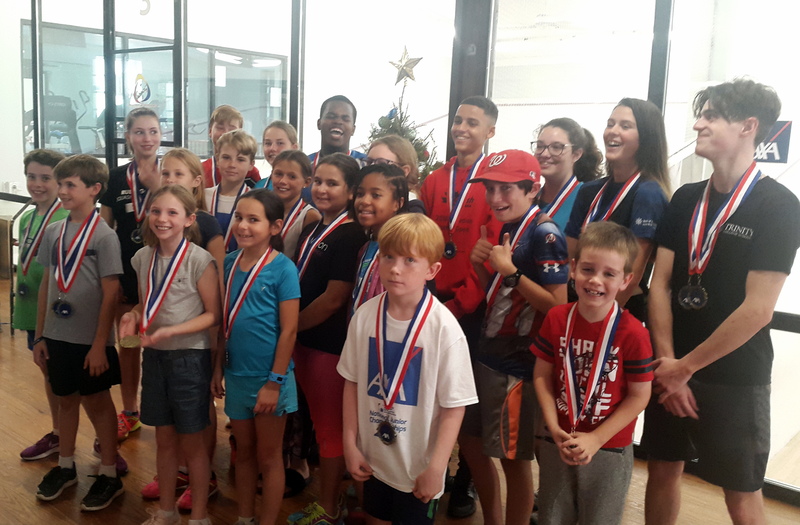 The 2018 AXA Bermuda National Junior Squash Championships came to an end at the Bermuda Squash Racquets Association Club in Devonshire. A total of 21 finals took place with two finals needing five games to decide a winner. Somers Stevenson won the Girls Under 11 Final defeating Rose Paulos 11-6, 7-11, 12-10, 7-11, 11-9, while the Boys Under 11 Classic Plate Final went five games as well with Matthew Troake defeating Jack Fisher 11-5, 10-12, 6-11, 11-8, 11-6.